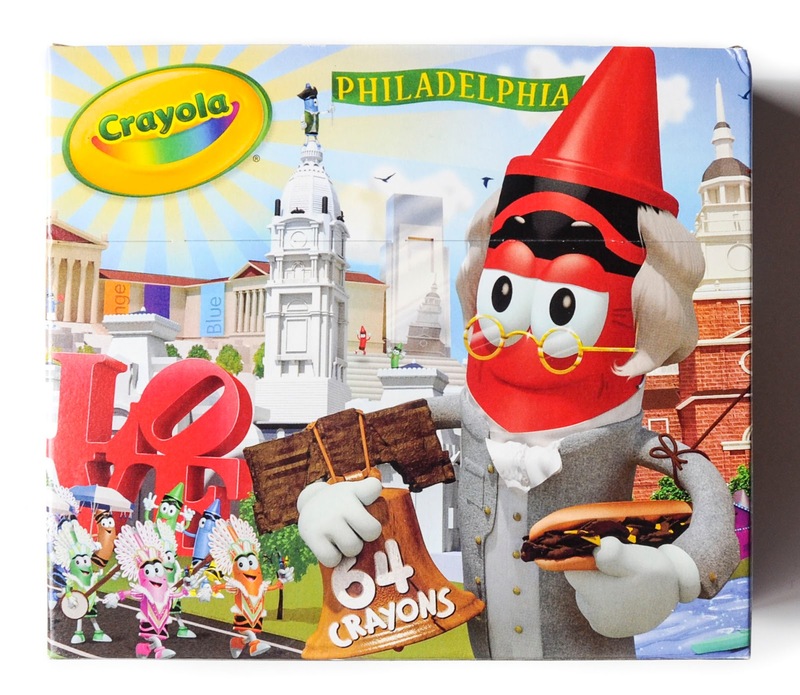 Crayola came out with two city themed boxes in 2013. One was a 96 count New York City themed box and the other the Philadelphia Independence Pack themed box. 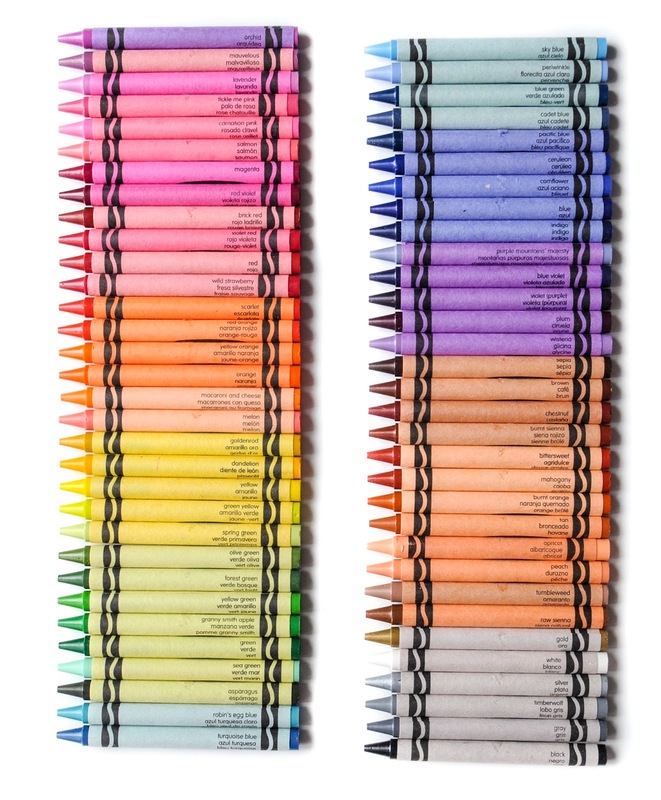 The Independence pack contains 64 crayons. The box contains pictures of iconic Philadelphia places, people and food. 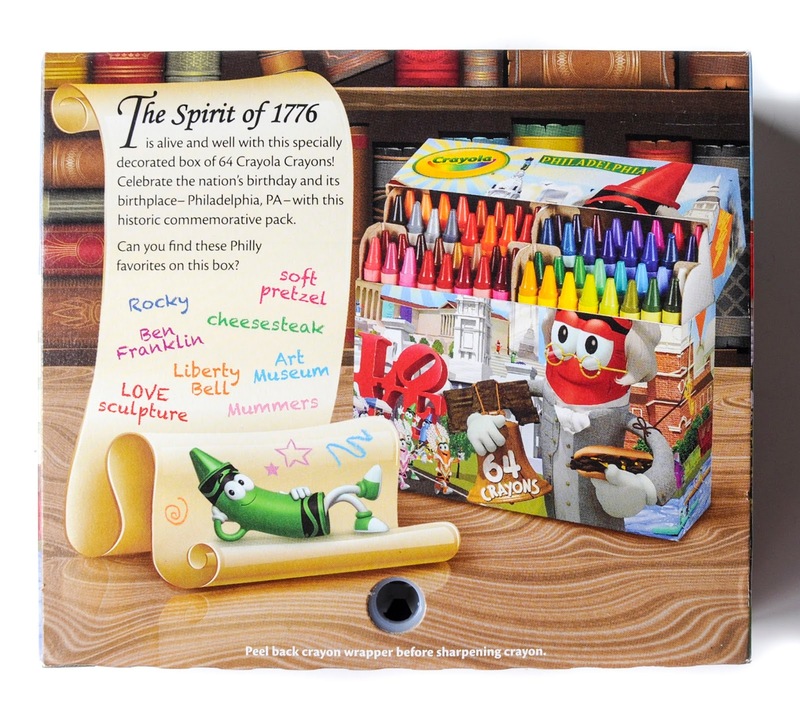 On the back it says to look for the following items: Rocky, which is red crayon on the stairs, a soft pretzel on the side of the box, Ben Franklin, he is on the front of the box holding the Liberty Bell and cheesesteak, LOVE sculpture, which is on the front of the box, an Art museum, which is in the background of the front of the box, and Mummers, which I assume are the crayons dressed up stroller down the street on the front of the box. On the back of the box it says the purpose of the box is to, "celebrate the nation's birthday and its birthplace". The Declaration of Independence was signed at Independence Hall, which is also on the front of the box. This is such a fun box, I hope Crayola does more boxes like this.